Top 50 best songs for tik tok apps – What is Tik Tok? For you who don’t know, Tik Tok is a Chinese music video platform and social network, also known as Douyin. In this apps, we can create our own short music video with background music that we choose before. There are several popular songs in Tik Tok. So in this article, we will provide our list of top 50 most popular tik tok songs around the world. This apps created by Zhang Yiming, founder of Toutiao. It was launched in September 2016 and in 2018, this apps become more popular than ever. 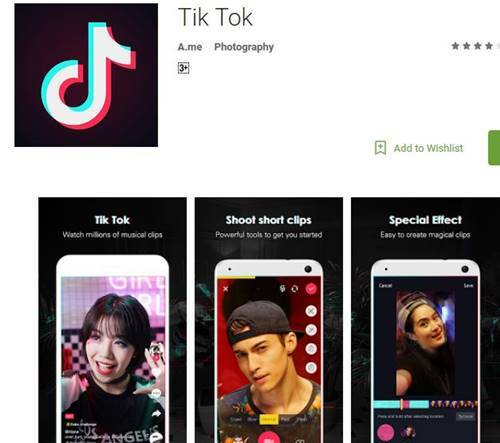 Tik tok may not popular in US and Europe, but tik tok is very popular in several Asian country such as China and Southeast Asian countries (Thailand, Vietnam, Indonesia, Philippines, Malaysia). Tik tok is very similar to Musical.ly apps, some people even refers it as ‘Asian musically’. In fact, in 2017 Tik Tok’s parent company, Bytedance, purchased Musically. It become most downloaded apps in the first quarter of 2018. The app allows users to create their own short music videos. Users first choose from a list of background music. Then, the app records them while they do whatever they want for fifteen seconds. Tik tok apps allows user to edit and add filter and other special effects to clips. There are numerous viral trends created by Tik Tok around countries in Asia. The Tik Tok songs list contains various musical styles, including hip-hop and electronic music dance (EDM). To make good content in Tik Tok, songs selection is a vital part. We must pick good and popular songs that used by many other users too. We have recommendation best songs used in tik tok apps. This list only contain international songs with English-language, so there is no language-barrier since this apps is popular in numerous Asian country (Indonesia, Thailand, China, Philippines, etc). Here are our picks of top 50 most popular Tik Tok songs we suggest you used as your background music in Tik Tok apps. Those are our picks of top 50 best songs used in Tik Tok apps. We only include international songs with English-language lyrics, not including songs from China, Indonesia, Thailand or Philippines which source of this apps popularity. You have other suggestion for best songs in Tik Tok mobile apps? Write down in the comment below.